Sofie Bertolini began dancing at the age of 4 at the Austin Dance Academy. At the age of 5, she was given her first small role with the Youth Ballet Theatre under the direction of Arletta Howard Logan, under whom she continued to perform throughout her training. She continued her early training at Ballet Austin, receiving two merit scholarships after joining the pre-professional division at age 14. She performed as Clara in Stephen Mills’ The Nutcracker her final two years there. Ms. Bertolini was invited to become a Ballet Austin trainee for the 2009-2010 season, studying with Michelle Martin and Stephen Mills. She also attended summer programs at Pittsburgh Ballet Theatre and Boston Ballet. 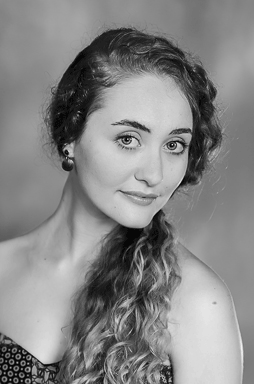 Ms. Bertolini joined Austin Metamorphosis Dance Ensemble in 2010, under the direction of Melanie Kregel. In her time there, she performed various roles in The Nutcracker, Swan Lake, Sleeping Beauty, and original works. She also performed with The Dance Project under Latisha Coffey and Diana Wang during her 2013-2014 season. She will be in her second season with Ballet San Antonio. During her first season she enjoyed the role of “Lucy” in Dracula and many roles in The Nutcracker, as well as, Romeo and Juliet and an evening of Balanchine repertory.